The friends and family members of those who have suffered the devastating loss of a baby often ask us what support they can offer their loved ones. People may feel scared to bring up the death of a baby or young child and worried that they will upset their grieving loved ones. However, we find that many bereaved parents want to remember and talk about the child they have lost. Many find comfort in speaking their name and sharing special memories of the time they had together. It can be hard to know what to say and there is no right or wrong where this is concerned. Often just acknowledging that someone special is missing, particularly on occasions such as birthdays and Christmas can help bereaved parents feel less alone in their grief. We asked bereaved families to share examples of something that someone said or did that helped them in the weeks, months and years after their baby died. This is not meant to be a ‘to do’ list for supporting bereaved families, as everyone is different. We hope that sharing these quotes gives an indication of how important the support offered by friends and families can be and how it can be remembered for many years to come. “Always mention the child’s name. “Ask how the person feels THAT day. “If you genuinely do not know what to say, don’t hide how you feel. “One friend said he didn’t know what to say other than that he loved us. “I had some brilliant friends who contacted Mum and my sisters. When someone you care about has suffered such a devastating bereavement it can be difficult to know what to say and how to offer support. It is okay not to know what to say, and just being there for them is important. The bereaved person will need their friends and family more than ever. Just being there for someone can be more important than spoken words. We have put together some guidance on how to support a loved one who has lost a child. Allow the bereaved person to express whatever he or she is feeling, even if these feelings seem intense and frightening. Try not to use any language that may be judgemental. Be available to listen to the parents talk as much and as often as they wish about the baby or child who died. This can be helpful for them. It may be difficult for you to hear, so make sure you seek support for yourself if you think this would be helpful. Bereaved parents often want to talk about their child and be allowed to remember them. Talk freely about the special qualities of the child and do not avoid mentioning the subject. Suggest you look together at photographs, if the parent seems comforted by photos and keepsakes. Try not to offer ‘reassurance’ on things you are not completely certain about, and which may indeed remain uncertain. E.g. “I’m sure they’ll find the answer……” “You’ll feel better by then…,” “Everything will be okay………” It’s okay just to listen or admit that you don’t know what to say but that you are there to offer support. Give special attention to any other children in the family, especially if the parents are too distressed themselves to give them comfort or attend to their individual needs. Offer to help with practical matters: telephoning, shopping, cooking and child minding, but avoid the temptation to take control. Do not, however, wash any item of clothing or bedding without being asked, as many parents find great comfort from things that still smell like their child. Unless you are asked, do not pack away the child’s belongings. Never put or throw anything away as this may be regretted later. Usually parents will deal with the child’s belongings when they are ready for them. This can be an important part of coming to terms with the death. Never tell the grieving person what he or she should do or how they should feel. Everyone reacts differently and it is important to accept the differences. Do not try to find something positive in the bereavement experience. That is something the parents may or may not want to do themselves at a later stage. 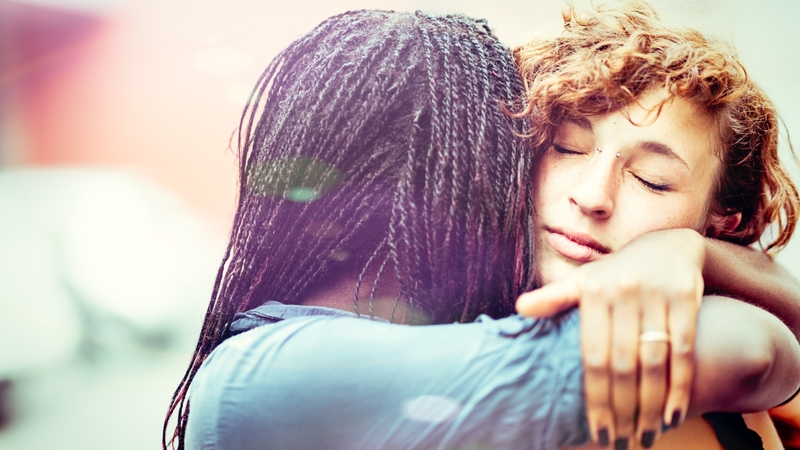 Your offers of support, especially at first, may be received without obvious gratitude, or even ungraciously, but try not to let this lead to an end to your contact or friendship. Parents are often very distressed at losing a valued relationship because neither side knew how to react to such a tragedy at first. If you can remain sensitive to a family’s changing needs as their bereavement goes on, and continue to keep in touch and offer practical help, this will be valuable support. Our Freephone Helpline is there for anyone in a family affected by the sudden and unexpected death of a baby or young child. You can call our helpline on 0808 802 6868, or email support@lullabytrust.org.uk.